God is moving in Toledo! What an incredible Saturday we had. God blessed us with awesome weather and the largest group of kids we have seen for this event. It was great to seem them smile and laugh during the crafts and game time and such a blessing to see them sit quietly and listen to the Gospel message that will truly change Five Points! This week we are hosting a missions team from New Life Church. We are excited to work with teenagers who have a heart for missions. We are looking forward to seeing Jesus in action this week in Five Points! We have room this summer for more missions teams. If you would be interested in bringing a group of adults, teens or your family out for a missions experience closer to home (or far away depending on where you are) send me an email or message me on Facebook! 8 “‘Count off seven sabbaths of years—seven times seven years—so that the seven sabbaths of years amount to a period of forty-nine years. 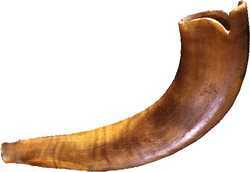 9 Then have the trumpet sounded everywhere on the tenth day of the seventh month; on the Day of Atonement sound the trumpet throughout your land. 10 Consecrate the fiftieth year and proclaim liberty throughout the land to all its inhabitants. It shall be a jubilee for you; each one of you is to return to his family property and each to his own clan. 11 The fiftieth year shall be a jubilee for you; do not sow and do not reap what grows of itself or harvest the untended vines. 12 For it is a jubilee and is to be holy for you; eat only what is taken directly from the fields. In this the Sabbath year of Sabbath years of Sabbath days I proclaim to you the Lord of Lords, the King of Kings, the Son of the Living God Jesus Christ. We live in the year of Jubilee. The Son of God has come and declared freedom for all the inhabitants of the the land. We have all been captives. We have all been oppressed. Some of us still are trapped in a false sense of freedom, trapped in the lie that sin is liberating. This captivity, this oppression knows no ethnic, national, economic or social boundaries. It chains the rich and poor alike. It causes destruction and oppression in the halls of power and the boardrooms of the world. It brings death and hopelessness to the streets of poverty. It spreads darkness and despair in the homes of the middle class. It mocks us, declaring hope and escape in money, power, pleasure and self-seeking lives. In the end it brings death to ALL those in its grasp. 22 “Men of Israel, listen to this: Jesus of Nazareth was a man accredited by God to you by miracles, wonders and signs, which God did among you through him, as you yourselves know. 23 This man was handed over to you by God’s set purpose and foreknowledge; and you, with the help of wicked men,[d] put him to death by nailing him to the cross. 24 But God raised him from the dead, freeing him from the agony of death, because it was impossible for death to keep its hold on him. Call on the name of the Lord and be saved. Call on the name of the Lord and experience the pouring out of His Spirit! How many times have I read this passage? I would not even dare to guess. Probably many more times than is apparent by the state of my love life. BTW how is your love life? Perhaps not an uncommon question among the sitcoms, romantic comedies and even dramas of the world. As a Christian I should ask this question more often than I have. However the key to the answer is not in the question. It is rather in Paul’s words recorded (by the inspiration of God) in 1 Corinthians 13. It is in the magnificent story of a God who fashions an incredible plan throughout history to teach his creation the truth about love, a truth that was lost so many centuries ago in a place called Eden. I bet he walked away thinking how much he loved his old man. He was caught up in love, the love of the world. It is about what we can get. It is about how people, actions and things make US feel. It is an economy of love that is pervasive in the world and invasive in the Body of Christ. It is an economy of love that can only be escaped by death and resurrection to new life and even then it is an economy of love that will sap the strength of the faithful, destroy families, destroy churches, destroy ministries and spread deception everywhere that it takes hold. It is the great battle of Getting vs. Giving. It is the economy of Love that left the prodigal penniless, friendless and without hope. However we serve a God of hope, of redemption, of resurrection and of reconciliation so that no matter how deeply we have sunk into the World’s love He will welcome us home and kill the fatted calf for a feast beyond all expectation and imagination when we return to him. No matter how broken we are Jesus is ready and willing to accept us into his Love, a love of giving even to the ultimate sacrifice. How’s your love life? Give Giving a try. The Bible gives us the rest of the story and I’ll give you a hint: In G vs G, Giving wins.